Home » Social Media for Kids! 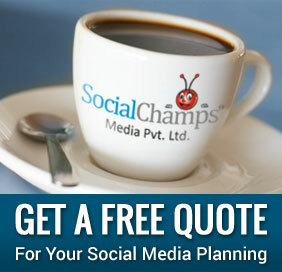 It’s true that social networking is becoming a large part of our culture today. Facebook, Twitter, Instagram, Snapchat and other social networking sites do have a minimum age requirement (13 years) but some kids do get around by lying about their year of birth. Though some parents may feel their kids are mature enough to join these sites, but research on this practice found that it may lead to serious problem. That is why; the Children’s Online Privacy Protection Act strictly regulates the way companies interact with the young people online. Also, children under 13 cannot have their data collected without parental permission. An alternative solution was provided by a former police chief, who created a new app ‘Go Bubble’ for 7-13 year old. The site was launched for younger children from eCadets in a bid to make social media for kids safe and give parents and teachers the tools to deal with this growing social media trend. Schools have already started using this platform to help children collaborate on school projects, develop online friends, teach kids social media safety, learn about new cultures and send regular messages to parents via the site. With ‘Go Bubble’ children can chat online with their school friends, share pictures, jokes, or videos and learn about various cultures by making new friends from around the world. Outside the school, parents and children can access the app via web for free or can download it onto their tablet, laptop or mobile device for £3.00 per year. The web and app version of ‘Go Bubble’ is available free to schools. The school can sign its children with parental approval and children can safely talk to other kids of their own class, school, or even with other school children from around the world. All posts are automatically moderated through the system’s safety features before going live. Any inappropriate picture, video, audio, text etc. are thoroughly reviewed and removed. There is also a live moderation team who reviews for any flagged messages. The app has been awarded a PEGI 3 rating; which is the safest age rating available from the Pan European Gaming Information governing body. No doubt, it’s hard to find a balance between allowing kids to be themselves and have fun and keeping kids safe especially when it comes to social networking. All it needs is not banning the kids from going social but to accept that like us, kids too love social media and will use it no matter what their age limit is. So, it’s better to provide them with a safe alternative that has all of the up sides but none of the down sides of social media.